Accommodation requests related to a disability should be made in advance of any scheduled event to conferences@oregonstate.edu. There is no better investment you can make for the long-term health of your mill than to increase the quality and process control skills of your people. These programs have earned the reputation for providing practical, mill-tested information that has been applied by producers to make millions of dollars in increased revenues. Most companies who send personnel to these training programs do so year after year. Managers look to them as effective tools for educating supervisors from all areas of the sawmill. Insure that production and quality control is in balance so that both recovery and production increase. Recognize and eliminate costly mistakes that rob a company of its maximum profitability. Fine tune or improve an existing quality and process control program. Understand how changes in kerf, target, price, wane allowance, etc. interact to influence profitability. Maintain an effective lumber size-control program. Learn about new developments in automated size control. Maintain an effective lumber drying program focused on reducing moisture variability and drying degrade. There are several key activities that must be accomplished for a Lumber QC program to be successful: managing the quality function, involving employees in problem solving, and finding long-term solutions to problems. Each of these activities support a QC program’s basic goal of meeting customer requirements while maximizing the value, recovery, and lumber production. Attendees will have an opportunity to work with topics that address these key activities. This program describes new concepts in quality control and management. Attendees will have the opportunity to go beyond the basics and focus on concepts and ideas that will propel their QC programs to achieve consistently solid results. There are several key activities that must be accomplished for a Lumber QC program to be successful: managing the quality function, involving employees in problem solving, and finding long-term solutions to problems. Each of these activities support a QC program’s basic goal of meeting customer requirements while maximizing the value, recovery, and lumber production. Attendees will have an opportunity to work with topics that address these key activities. These topics are listed on the program below. All topics will be taught by Terry Brown unless otherwise noted. Registration made easy! Online registration is now open. Please note that you will need to set up an account in order to register for this event. If you are registering a group of people please complete registration using the option to register “Someone Else” for all others attending before completing registration for yourself. Conference registration fee includes all course materials and refreshments throughout the day(s). Cancellation requests must be made in writing to conferences@oregonstate.edu two (2) weeks prior to the start of the conference. Cancellation requests received by that time will receive a refund of registration fees minus a $50.00 administrative fee. Substitutions may be allowed. Please contact the conference organizers for approval. If either or both of these programs are cancelled, liability of OSU Conference Services and the Lumber Quality Institute will be limited to the return of your registration fee. The College of Forestry and OSU Conference Services reserves the right to cancel courses due to low enrollment. Attendees are responsible for all hotel reservations. To make a reservation, call 541-752-0800, and mention that you are attending the the Lumber Quality Institute at Oregon State University. Reservations can also be made online by clicking here. 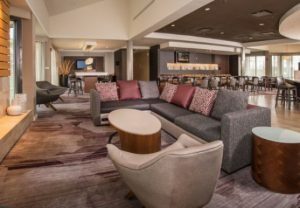 The newest hotel in downtown Corvallis, the Courtyard Corvallis by Marriott is open for business. To make a reservation, click here or call 541-753-0199 and let them know you are with the Lumber Quality Institute at Oregon State University. 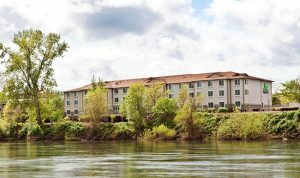 Many other area accommodations can be found by browsing the Corvallis Tourism site. Both programs will be taught in Richardson Hall Room 107, 3180 SW Jefferson Way on the OSU Campus. Parking is available on-campus in designated students lots only. Guests staying at the Hilton Garden Inn have access to free parking on hotel property. Kearny Hall, Room 212 – Oregon State University Campus. PROGRAM LEADER, TERRY BROWN, Director of the Lumber Quality Institute, is the recognized industry expert in the lumber quality control field. He brings to these programs more than 40 years of experience in helping sawmill personnel solve quality and production-related problems. He is known for his practical and down-to-earth teaching style that communicates to personnel at all levels. 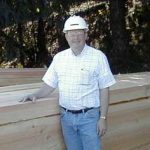 Terry is the editor/author of the book Quality Control in Lumber Manufacturing and has conducted quality control training programs for sawmill personnel in North America and around the world.